Child & Spousal Support You need to know the right amount of child and spousal support Child & Spousal Support "From day one they were engaged in my best interest and that of my children. Thank you all for the amount of involvement and care you put into my case. Thank you!" – Joe W.
It can be hard to know where to turn when a sudden event disrupts your life. You may be in emotional and physical pain, and you don’t have the counsel of those you have relied on for the last several years of your life. How can you get the resources and security you need to move on with your life when you don’t know whom to trust? We understand that our clients come looking to us for help during the most difficult times of their lives. We are here for you. You do not have to go through this alone. We will be with you every step of the way. Our lawyers take pride in making ourselves available to clients, keeping open lines of communication to respond immediately to all of your questions and needs. 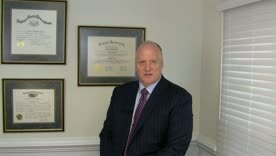 See what one of our clients has to say about firm partner, Kevin Zlock, in the video on this page. We have offices in Doylestown or Newtown and offer evening and weekend appointments for your convenience, and can arrange consultations by telephone if you live far away from our offices. Contact Zlock & Coverdale® today to speak with an attorney about your options! The prospect of divorce forces people to re-examine their lives and their future goals, and can place them at a disadvantage if they are too willing to compromise during their separation. How you deal with the changes that occur during this stressful time in your life at this time can affect you for years to come, so it is important to have the guidance of an experienced family law and divorce attorney. At Zlock & Coverdale®, our family law attorneys protect our clients’ rights and interests at each step of the divorce process. Our divorce lawyers and family law attorneys use their experience and knowledge to craft a legal strategy designed to achieve your personal and financial goals and minimize emotional impact on you and your family. No matter what the details of your case, our goal is always to help the client emerge from the process in the strongest position possible. Divorce Proceedings. The divorce attorneys at Zlock & Coverdale® have extensive experience in complex divorce cases, including those involving child custody, property division, prenuptial agreements, spousal support, and significant assets. We also prepare and file all the required documentation to file for legal separation or uncontested (no-fault) divorce if there are no child or property division disputes, helping couples separate quickly and amicably. Property Division. Divorce can significantly impact the finances of a family, often placing one spouse at a financial disadvantage. We have particular experience in divorces involving significant marital assets, real estate, business valuations, civil and military pensions, 401(k)s and other defined contribution plans, and other complex property division issues. In most cases we can negotiate a practical and acceptable settlement, but we will not hesitate to go to court to achieve the best possible outcome for our clients. Child Custody and Support. We will work to reach a viable and sustainable child custody and visitation agreement, and we will do everything in our power to minimize the impact custody battles can have on children affected by divorce. Spousal Support. Our top-rated divorce attorneys make great efforts to achieve the best results for spouses who rely on a divorcing partner for financial support. Whether you require spousal support during a separation or alimony after a divorce, we will work to help you make a successful transition to the next stage of your life. Domestic Violence Protection. As strong community advocates, we help clients who are being abused by their spouses, domestic partners, or the parents of their children. Our Bucks County domestic relations attorneys can help victims of abuse seek a protective order, restraining order, and other legal protections from domestic violence. Our compassionate counselors will listen to the facts of your case, and assess your situation carefully to determine your best options. Most Pennsylvania employees are protected from financial hardship when they are injured on the job. However, some employers will try to deny or limit workers' compensation benefits, forcing employees to return to work too early or pay for their own medical costs. We can help you collect fair payment for your work injury, see if you qualify for other types of state and federal benefits, and determine if you could file a lawsuit against a negligent party for your pain and suffering. Victims who have been injured in traffic accidents rely on their insurers to help them after a crash. But all too often, insurance companies will deny fair payment of these claims, placing the financial and emotional burden of the crash on the victim. The trial attorneys at Zlock & Coverdale® will assess any potential claims arising from car and large truck accidents, present your claim to the insurance company, and work with experts to determine the most beneficial outcome for you and your family. He was more than an attorney. He was like an adviser through the entire process. His competency within the custody field gave me confidence that the right choices were being made for my children which was the most important part of the case.Brian F.